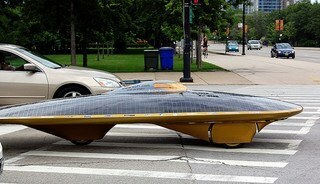 The Next Generation: Cars Powered By Solar Energy? Let’s research and take a deeper look at the progress occurring in current sustainable transportation using renewable energy; PV panels that convert energy from sunlight into useable electricity. What is the latest in wireless telemetry that measures solar power remotely by car dashboard gauges? Will the future highways be filled with cars powered by solar energy? 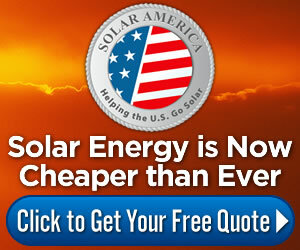 1 How Close Are We to Solar-Power Hybrids on the Market? How Close Are We to Solar-Power Hybrids on the Market? Are you imagining what it would be like to put enough gasoline in your tank to travel 600 miles and have it last two weeks or even a month? Solar-powered hybrid cars will be able to travel the routine trips to work, the market and local destinations within a 21 mile radius daily using just the electricity converted from the sun’s rays to re-charge itself every day. These hybrids are also equipped to charge at electric grid stations on cloudy days, and add a generous 600 mile back up of gasoline powered travel as well, according to Extreme Tech. That’s a total of 621 miles in travel before needing to recharge or gas up. The concept of solar-power is about to hit the market; just current field “real-time testing” is left for evaluation prior to production. Earlier this year, Ford offered the public a preview and introduction to their soon to be marketed solar-powered, self-recharging, hybrid electric car. Using the sun to re-charge itself, the C-MAX has a concentrator device, called a Fresnel lens that directs the sun’s rays into solar panels with cells of about 350 watts. The solar-power acts like a mighty magnifying glass to increase solar panel capacity and generates 8 kilowatts from a day in the sun. This is comparable to 4-hours on an electric grid battery charger. This vehicle includes a standard sun tracker for the roof panels, as well as a port for plugging into an electric grid outlet. In an effort to extend solar-powered car technology, 21 countries compete in an annual solar-powered car race from Darwin to Adelaide, in Australia. Since 2011, solar-power technicians have entered their prized research vehicles in this race to promote their designs that easily convert the sunlight into efficient motor power, according to CNN. The purpose of these races is to find ultimate efficiency for electric-powered cars. Some of these prototype motors are reaching 98 percent power conversion efficiency from sunlight. These cooperative world-wide efforts to find sustainable options for eliminating carbon emissions is being adopted by industrialized countries to manage our environment in a more responsible way. And with the cost of solar panels down 60% since 2011 and that of solar photovoltaic systems down 50% in the last four years according to RSI, it has become more cost effective to create these solar-powered machines. Prototypes of the solar-powered car industry are about to burst through cutting-edge concepts into the realm of reality on our highways in the U.S.A. Often testing shows 98 percent fuel conversion efficiency, according to the CNN article. The problems to work out involve accommodating more than one passenger and easily switching to battery and/or gas power when entering a tunnel, or when sudden storm clouds cover the sunlight. These futuristic vehicles may stretch your imagination, but there are other technologies gaining momentum with regard to green transportation and sustainability. Already, the signs of government regulations and policies are preparing for the eventuality of flight-able vehicles and just as amazing, solar-paneled freeways, highways and city streets paved with PV solar panels. Drivers will be able to monitor the solar powered car’s vital information, such as solar energy capture rate, the car’s energy consumption and all electrical functions using wireless telemetry. The system set-up will depend on the size of the array of photovoltaic cells built into the solar panels.